TED ALJIBE/AFP/Getty ImagesActivists march towards the Chinese consulate for a protest in Manila on February 10, 2018, against Beijing’s claims in the South China Sea. The country’s chief economist said it will accept the loan as it needs “more friends,” as relations between the two countries warm after years of territorial disputes in the South China Sea. The Philippines is close to accepting Chinese loans that are up to 1,100% more expensive than those from Japan, in another instance of China’s debt-trap diplomacy. The loans from China, which will be used to fast-track infrastructure projects including a dam, railway project, and irrigation system, come with an interest rate of 2% to 3%. But loans available from Japan have interests rates between 0.25 and 0.75%, up to 12 times cheaper than those from China. “We cannot get all the loans from … Japan. Between 2 and 3 % interest rate is still much better than commercial [loans],” Ernesto M. Pernia, the Philippines’ chief economist, announced in February. “More friends is still better than fewer friends,” he said. 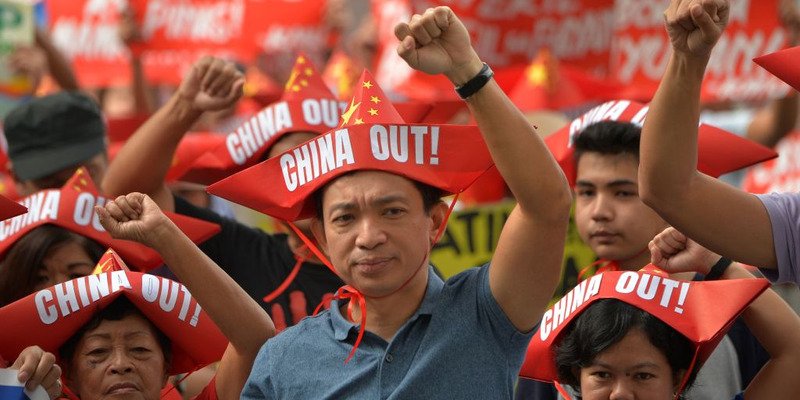 The Philippines has fought with China for years over territorial disputes in the South China Sea. But President Rodrigo Duterte has overseen trade growth between the two countries, and China is now the country’s biggest trading partner. One of the biggest culprits has been China’s Belt and Road initiative, a trillion-dollar project to link 70 countries in Asia, Oceania, Africa, and Europe with railway lines and shipping lanes. To fund the infrastructure projects – which are attractive to poorer and underdeveloped countries that struggle to secure traditional financing – China offers their own loans. China’s loans can also come with other strings. 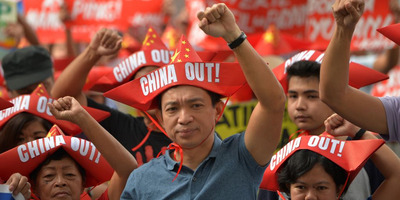 In the Philippines, Chinese-owned contractors will be required to work on the infrastructure projects, rather than supporting local companies and workers. And with an emerging pattern of Chinese-owned businesses being seized by their own government, the line between state and business is blurring. It’s an issue that looks set to increase. During President Xi Jinping’s first five year term, China doubled its diplomacy expenditure. This week China announced it’s increasing the 2018 budget by more than 15%, twice the increase on military spending, to $US9.5 billion. Xi made his intentions clear in October last year. “It is time for us to take centre stage in the world,” he said.